What Are Triple Wide Mobile Homes? Firstly, Lets Explain the Mobile Home Concept. Mobile homes, just like their name suggests, are not necessarily stationary for the duration of their use. Rather than being built on the site they ultimately occupy, mobile homes are built in a factory, and then transported a piece of land after they are purchased. Mobile homes are built to standard U.S. building codes, and home owners can get a mortgage loan to finance them. That being said, it is much easier to get a loan for a mobile home if there is a piece of land included in the deal. What is a Triple Wide Home then? Just like a regular, site built home, not all mobile homes are the same shape and size. Triple wide mobile homes are built in three separate parts which are then united to create one home. Generally, the three pieces are towed separately to the home owner’s land and then connected on site. A triple wide is much larger than a standard size mobile home and has more rooms and a larger floor plan. Can You Re-sell Your Triple Wide Home? Yes you can. Since triple wides doesn’t have to be stationary, like a regular home, when it comes time to sell it owners may choose to trade it in to a dealer. Once traded in, somewhat like a car, the used mobile home will be moved from the property. This enables the homeowner to keep their land for the use of a different mobile home or the construction of a site built house. On the other hand, a seller may choose to put both the land and the mobile home on the market, enabling the new owner to move in without towing the mobile home to a different location. How is a Triple wide Re-Transported? Even if a mobile home will not be moved in its lifetime, it will always maintain its wheels and tow hitches should it need to be transported. Fortunately, the underbelly of triple wide mobile homes can be hidden with siding or blocks, so it appears more akin to a site built home and seems permanently fixed to the ground. Do Mobile Homes Comply With Building Codes? 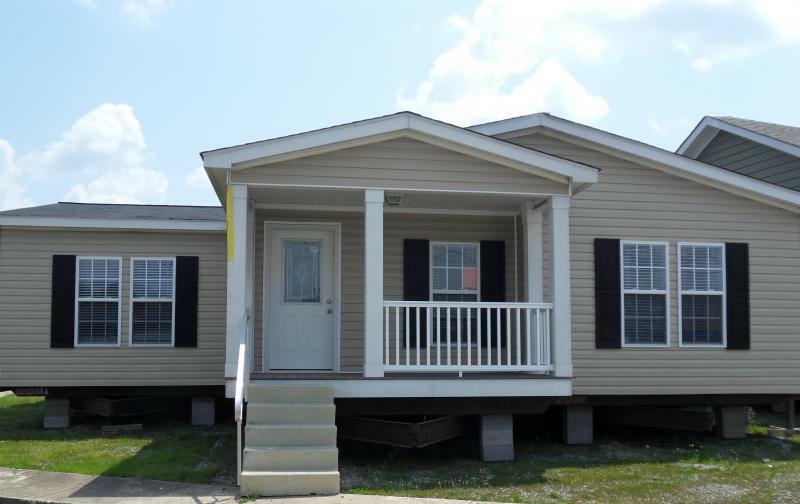 The building codes for manufactured mobile homes are quite stringent, and enforced by the government Housing and Urban Development group, also called HUD. Homes are inspected during the manufacturing process, ensuring safety and building codes that take into account the ability to withstand acts of nature. The mobile home manufacturer inspects their product, and the HUD conducts its own inspections as well when the triple wide unit is actually united to create the finished product. Are There Other Sizes For Mobile Homes? Most mobile homes are either single size or a double wide. Triple wide homes and those that are even larger are in less demand, and therefore not manufactured in high numbers. Despite being harder to find, they can provide a much more spacious experience and give the feel of a site built home better than a standard size mobile home. They make a good option for a family on a budget that needs ample room to grow, as they are priced significantly under a site built home. How Big Are Double Wide Mobile Homes? What Are Single Wide Mobile Homes?